Newcastle-based Venture Stream is looking to double in size over the next year after a spate of new client wins. The agency will be building bespoke e-commerce websites for florist and craft supplier Smithers Oasis, fashion brand Lily Ella and electrical and lighting wholesalers Park Electrical. It already works with brands including Barbour, Planet Organic, Yogamatters and the Edinburgh Bicycle Co-operative. It currently has 12 staff after appointing four new employees over the past nine months. Managing director Vic Morgan said: “To welcome so many clients on board and have our work recognised by such a prestigious regional award for our industry is a great way to end the year. 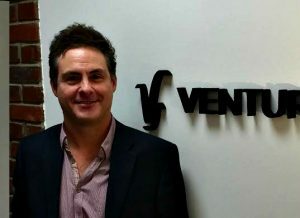 Founded two years ago with start-up support from Northstar Ventures and Rivers Capital, Venture Stream says it has grown revenues 60% in the last 12 months.